Commissioning of variable speed drive is the process of checking, inspecting, testing and configuring the equipment at the project site, so that it shall fulfill the technical and functional requirement of the customer. This makes the equipment ready for safe operation. Why is commissioning of variable frequency drive/ variable speed drive important? To ensure that the equipment and the associated field devices have fulfilled all the safety aspects (IEC 60364). To ensure that the proper cable selection, installation and termination is done. To ensure that the variable speed drive and the motor is properly grounded. To ensure that the equipment is functional and meets the contractual norms or customer requirement. Before starting the commissioning process, the commissioning engineer has to study the application and the customer requirement. Make sure that the following documents and instruments are ready before the start of commissioning process. Motor nameplate details (Rated voltage, full load current, and rated RPM). Field instrument details (such as pressure transmitter, pressure switch, flow transmitter, pulse encoder etc.). Safety clearance from the site safety officer. Once you have the above documents and instruments, you are ready to begin the commissioning process. Before starting the commissioning process, the following points should be checked. Make sure that the voltage rating of the motor matches the drive specification. Make sure that the variable speed drive is properly sized to run the motor. Make sure that the variable speed drive is properly mounted in the panel. 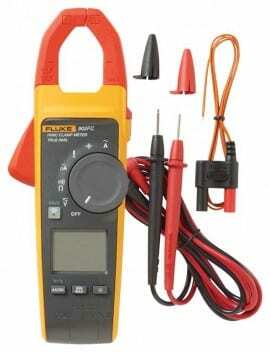 Check whether the panel and VSD are properly grounded. Make sure that the cables connecting the drive inputs and the cables to the motor are properly sized. Megger the cables connecting the motor and the drive after disconnecting it from either side and ensure the cable is damage free. Ensure the input power cable to the drive and cable to the motor are properly installed and terminated. Check the cable termination and connection at the motor terminal box. Verify whether the control wiring is done properly, as per the wiring diagram. Check the field instrument connections. Check whether the cable shields are properly grounded. In case if the drive is controlled from PLC/PAC or DCS, check the communication cables connections. Check the motor for rotor jam. Check whether proper cooling arrangements are provided for drive. Check whether suitable circuit breaker/ Semiconductor fuse protection is provided for the VFD. Check whether the input and output line chokes/ harmonic filter are provided (only if shown in the wiring diagram). Check whether Dynamic braking resistance, brake chopper and DC link choke are provided (only if shown in the wiring diagram). Note down the rated voltage, full load current, and rated RPM of the motor. If more than multiple motors are driven by the VSD at a time, check whether the overload protection circuits are set up between the drive output and the motor terminals. Check the proper working of mechanical brakes, if provided. Once the pre-commissioning checks are completed and all system is found OK, the VSD is ready to be commissioned. Commissioning of drive includes the following steps. Check the input supply voltage. Before starting up the VSD, check the supply voltage at the input side of circuit breaker terminals. If the supply voltage is within the rated input supply voltage range of the VSD, switch on the circuit breaker. Check the DC bus voltage at the DC bus terminals of the drive. Also ensure the proper functioning of the cooling fan. Set all other control and communication parameters. 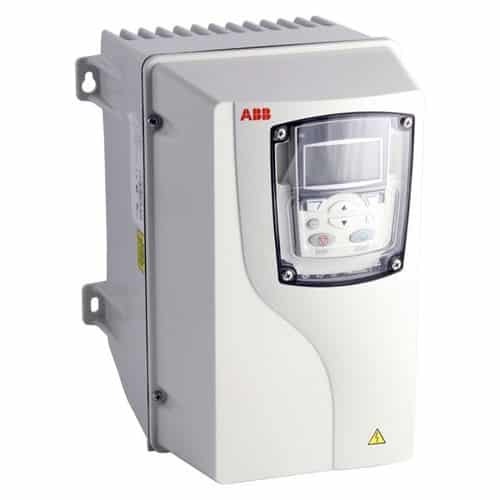 Most of the variable speed drives available in the market are delivered with application based pre-set parameters. In spite of that, the following parameters have to be set irrespective of application. Minimum output frequency is the lower limit for frequency (i.e.) the output frequency of the VSD cannot be varied below the highest output frequency. Maximum output frequency is the higher limit for frequency (i.e.) the output frequency of the VSD cannot be varied above the maximum output frequency. Maximum output current is the upper limit for output current. During normal operation, if the output current of VFD exceeds the set limit, the drive will trip on over-current fault. The current may exceeds the upper limit during start. Acceleration time is the time taken to ramp up the motor to its maximum speed. It depends on load inertia and varies from one application to other. Deceleration time is the time taken to ramp down the motor from its maximum speed to zero. . It depends on load inertia and varies from one application to other. In addition to the above parameters, few other parameters such as digital input and digital output terminals, analogue input and analogue output terminals, field communication, pulse inputs and pulse encoder inputs parameters has to be configured as per the application requirement. Also, some VSD requires protection parameters to be configured. Advanced features such as brake control, torque boost functions, PID control; droop control etc. needs to be configured for some application. Conduct Auto-tuning/ ID-run of VSD. 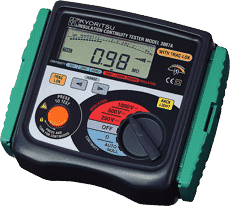 Auto-tuning is the process by which a variable speed drives measures the impedance of motor winding and determines the VI curve of the motor at different speeds. It is required to input the noted motor rated voltage, rated current, rated frequency and rated speed before starting auto-tuning. Auto tuning can be stationary or rotational. In case of rotational auto-tuning, it is advised to decouple the motor from the load/ gear-box. Auto-tuning of a variable speed drive usually takes 60-120 seconds to complete. If the VSD is used to run more than one motor at a time, auto-tuning of the same is not required. Also the rated current entered should be the sum of rated currents of all the motors run at a time. After auto-tuning the motor, the direction of rotation needs to be checked. The speed reference to the drive is set to 3Hz or 100RPM and the variable speed drive is started manually. If the motor rotates in the reverse direction, the direction of motor has to be changed by interchanging any two line leads at the motor side. Motor direction can also be changed by programming the drive. Once the drive is properly programmed and autotuned, it has to be tested for proper functioning at various output speeds or as per the application requirements. Check whether the motor rotates in proper direction. Motor should rotate smoothly without hunting, abnormal noise or oscillation. Check the operation of the Variable speed drive as per the application requirement. 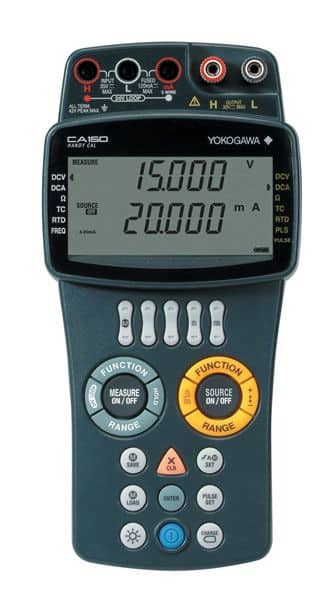 Verify the input speed reference and the VSD output. Verify whether the motor accelerates and decelerates smoothly. Verify and note down the current at no load and full load at various speed references. After the successful commissioning of variable speed drive, make a clear report of the works done. Also maintain a record of set parameters and current noted while testing on no load and full, load at various speeds. Read More: Difference between variable speed drive and soft starter.